Beijing Show World International Exhibition Co., Ltd.
Safety/Quality Approvals: ISO9001:2000. And Quality System Certificate has been awarded to us. Our products are tested and approved by the Quality Inspection Center of National Cast-iron and Forging Research Institute. And we have got the Export Quality License issued by CCIB. reasonable design and compact construction. cutting force, low noise and beautiful appearance. ensure the good safety performance. required. 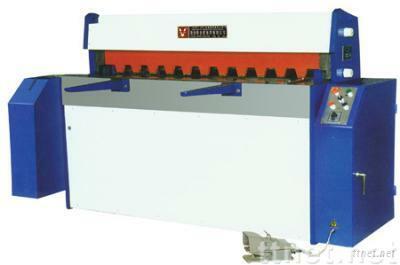 It is replacing Q11-3mm guillotine shear.